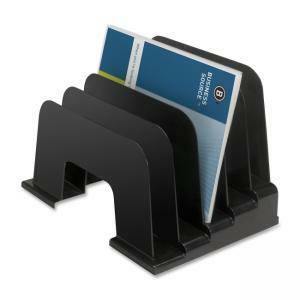 Large step organizer can be used on top of a letter-size tray or individually. Five slots are inclined for easy access. Organizer is made of plastic.